Organic SEO is one of the most powerful and cost-effective ways to generate traffic to your website without having to pay for individual visitors. SEO takes into account important keywords that attract buyer traffic and help to single out specific places on the website which should be given more attention. This allows a website owner to make precise changes to the website structure, pages, content, images, HTML codes and other scripts within the website. This changes will lead to an increased ranking in the popular search engines. Here are some of the reasons why your business should consider an investment in Search Engine Optimisation. You should understand the effect of organic SEO on your website offers a long-term benefit. It is not a strategy that is effective today and stops working tomorrow. Based on the trends in the use of search engines, there is no way SEO will become irrelevant in the near future. Rather, it has always been very important and becomes stronger by the day. One of the reasons why your competitors may have an edge over you is because they likely implement SEO techniques in their businesses. An optimised website will rank higher than a non-optimised website. This is especially true if your website is new. Older sites may have already made their mark in search engines and this has been known to give them more weight in search. By implementing sensible SEO strategies in your business, you will be able to increase your search rank, exposing your site to more visitors. Organic SEO is by far the best value website promotion strategy that offers the highest returns on investment. Its cost performance index is way higher than other promotion techniques such as social media marketing, buying leads for email marketing venture, and PPC advertisement. SEO is the best when it comes to increasing your business revenue by attracting natural visitors to your site. Social Media marketing can add another dimension by reaching potential customers and directing them to your site. Pay per click marketing can also bring lots of business, but it’s important to have your site optimised before this traffic arrives. Statistics show that about 80% of internet users have made a purchase online, this number is expected to rise in the near future. These buyers locate the businesses that they purchase from using the search engines. If internet users cannot find your business online, they won’t have access to your products and services. If you aren’t showing up in search engines, you just aren’t being seen. Although Google is the world’s most used search engine, there are still many other search engines who will also need to rank your site. Your sites SEO and its effect goes way beyond the Google ecosphere. Some prominent portals such as Bing, Yahoo, Facebook, Youtube, and Amazon also rank websites using SEO-based algorithms. Optimizing your website for SEO will rank your website across different online search platforms on the internet. It is a good idea to consider an appropriate SEO strategy to be on par with your competitors. All businesses are competing to be at the top of the Search Engine Result Pages. 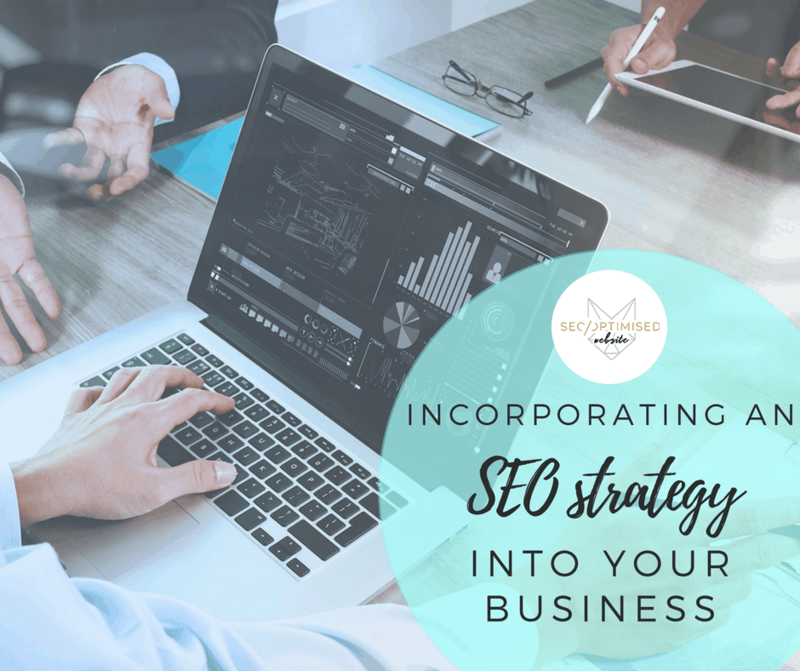 To make your online business endeavors a success, you should consider implementing SEO as an integral aspect of your business strategy.